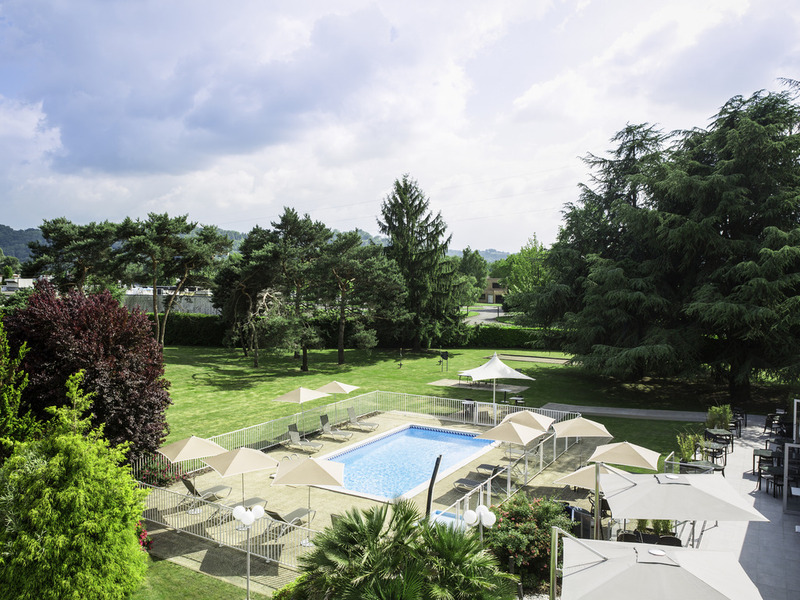 Enjoy a break at the Novotel Pau Pyrenees hotel near the Pyrenees. Whether you are traveling as a family or as a couple, relax in our comfortable and stylish rooms complete with WiFi. The hotel is perfect for your business meetings and has four modular m eeting rooms for made-to-measure seminars. Enjoy delicious cuisine on the terrace of our elegant restaurant or relax by our outdoor pool. With sports and cultural attractions nearby, breathe in the fresh air of the Pyrenees at Novotel. With their contemporary and completely modular design, Novotel's spacious rooms are true living areas and can be adapted to suit all requirements. Choose comfort to suit you from our 2 room types. All rooms span 258 sq. ft. (24 m²) and have facilities to help you relax and rest.